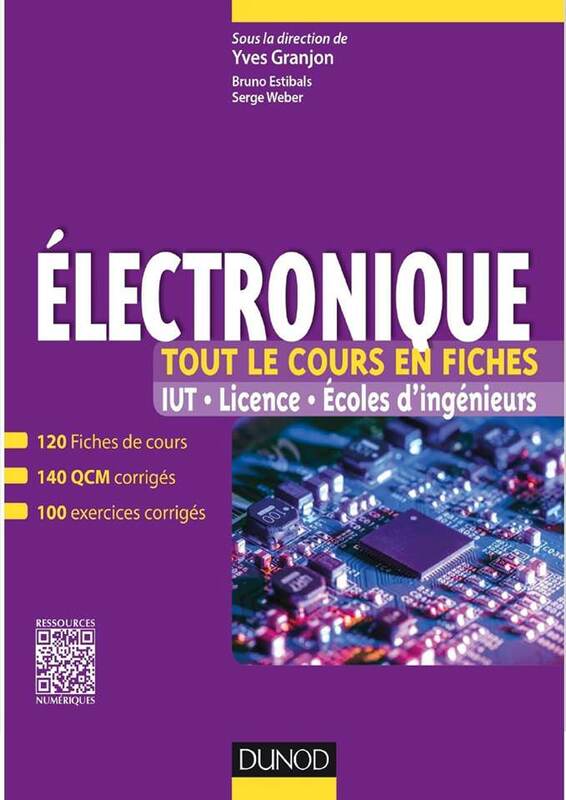 This manual is intended for students studying electronics in a post-baccalaureate program (Bachelor, IUT, engineering schools). It presents, in the form of two-page index cards, the essential notions of electronics accompanied by examples and concrete applications. At the end of the chapter, the focus is on industrial applications. The presentation is adapted to the needs of the students preparing an examination or a contest: synthetic sheets to understand, MCQ to assess themselves, exercises corrected to train.